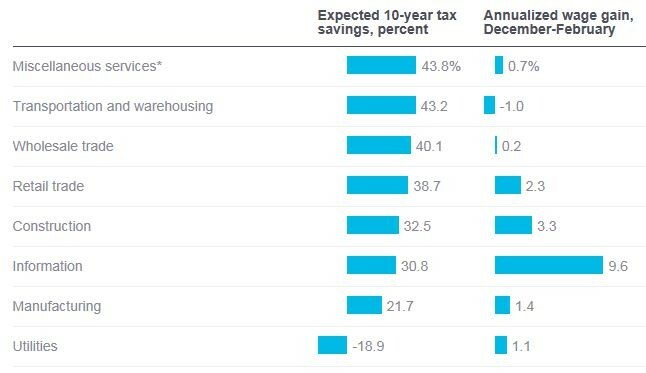 The article compares PWBM’s estimates of tax savings by industry with wage growth by industry. Figure 1 shows that tax savings and wage growth have not moved hand in hand. The industries that will receive the largest changes to their tax bill over 10 years did not necessarily see the most wage growth in the past few months.